About 9 months ago, I volunteered to out in small ways on some PHP web forms with good results. That led my boss to offer me an opportunity to write a web form from scratch. My company offers document destruction, and sometimes we get hand-written orders in. They wanted a form that would allow two employees to type in the information that’s on those hand-written list, and then for those lists to be compared to ensure that perception of hand-written characters is the same (from what I hear, they tried to convince all customers to type the orders with mixed results, hence the need for this). Thinking this didn’t sound too difficult, I accepted the offer and started to consider what I’d write it in. I’d fooled around for a bit with Visual Studio 2008 Express and got familiar with the layout, but by this point, two other versions had already come out. With that in mind, I installed Visual Web Developer 2010 Express (I usually wait awhile before using new software so most bugs can be ironed out, just to keep the experience smooth. If I start something new on a bad note, I generally get irritated and don’t follow through, so I wanted to avoid that). 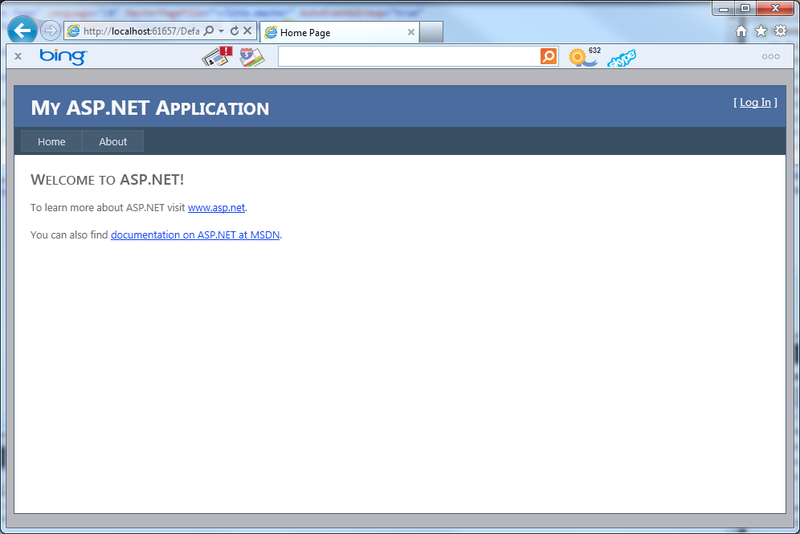 With that installed, I started a new ASP.NET Web Application. When you start this type of project, it already lays out some default page elements. I actually didn’t know this when I did it, so I spent some time removing those elements to get the layout the way I needed (the layout was already decided, and looked nothing like what the default provides). However, if I’d looked 4 items down on the New Project list, I would’ve seen Empty Web Application, which is exactly what it says: it has no default page or elements. However, it does have a Web.config, a properties file and all the default references already added to the project. 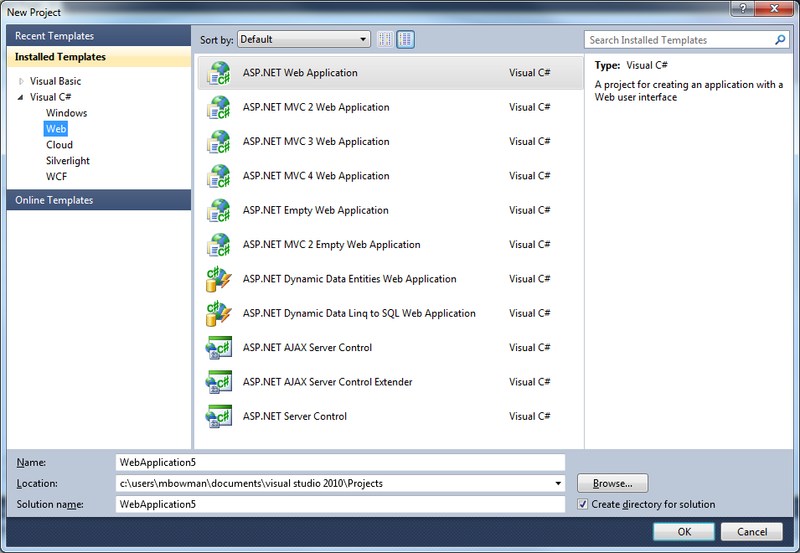 I’d learned that ASP.NET projects can be written in many different languages. I’d decided to work with C#, again because many others around me were proficient in it, so I could receive help if needed. At this point, I hadn’t really done any programming in C# or really done any Object-Oriented Programming, so I spent some time on Scott Allen’s C# Fundamentals course, as well as Dan Brown’s Intro to C# and .NET. Although I didn’t watch these all the way through, they helped me to understand things much better. However, I was still far off from understanding enough to get moving on my own. I started looking for someone to help me, and found a lot of it…but I’ll explain that in more detail next week! Hope you all had a great weekend, and have a good week! Thanks for reading!